Storyteller China has a great tradition of literature and poetry but unfortunately much of it is difficult to translate into Western languages. Classical Chinese literature is made up of Confucian texts and vernacular Chinese literature consisted largely of grand prose epics that were regarded as low-class by classical scholars when they were written and popularized. The Chinese have a saying: "use the past to criticize the present." One Chinese intellectual told the writer Paul Theroux, "That is a Chinese preoccupation. There was a mayor who wrote a play about an obscure figure during the Ming period. People were shocked. 'You are criticizing Mao!' they said. That mayor was removed very soon after. And he disappeared." A similar incident triggered the Cultural Revolution. China has a wealth of classical literature, both poetry and prose, dating from the Eastern Zhou dynasty (770-221 B.C.) and including the Classics attributed to Confucius. 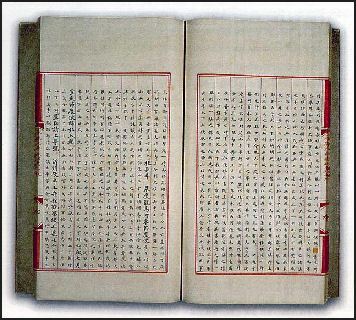 The oldest known Chinese literature are poetry and folk songs that date back to the 8th century B.C. Fiction developed relatively late with the oldest known stories written in the vernacular dating back to the Tang period (A.D. 690-907). . In the old days “news singers” were fixtures of Chinese teahouses. The fact that so little Chinese literature makes its way to the West is worrisome. As of 2005 there was only one serious translator of Chinese literature into English, Howard Goldblatt, the founding editor of Modern Chinese Literature and a professor at the University of Notre Dame. Good Websites and Sources: Modern Chinese Literature and Culture (MCLC) mclc.osu.edu ; Library of Congress loc.gov : Myths Oriental Stylewww.ourorient.com ; Monkey Spirit Story at Modern Chinese Literature and Culture (MCLC) mclc.osu.edu ; Folk Tales pitt.edu : Stories China Page chinapage.org ; University of North Carolina unc.edu/~rwilkers ; Ballad of Mulan China Page : Classics Chinese Text Project ; China Page chinapage.org ; Side by Side Translations zhongwen.com; Book: Anthology of Chinese Literature from the Earliest Times to the Fourteenth Century edited by Cyril Birch. Chinese Culture: Cultural China (site with nice photos cultural-china.com ; China Culture.org chinaculture.org ; China Culture Online chinesecultureonline.com ;Chinatown Connection chinatownconnection.com ; Transnational China Culture Project ruf.rice.edu China Research Paper Search china-research-papers.com ; Book: Chinese Literature: A Very Short Introduction by Sabina Knight (Oxford University Press, 2012) ; The Culture and Civilization, a massive multi-volume series on Chinese culture (Yale University Press). The third chapter deals with a wide variety of prose writings, including historical narratives and belles lettres (essays and jottings), as well as short stories of "strange" and fantastic nature. By including historical narratives as wenxue (lit., "the study of writing" or literature), Knight makes an important point in keeping with Chinese practice prior to the late nineteenth century. She underscores the function of early narratives as record keeping and moral teaching, and her extensive list includes historical narratives such as Zuo's Commentary (a.k.a., The Chronicle of Zuo or The Commentary of Tso) and The Historical Records (a.k.a., Records of the Grand Historian); supernatural or marvelous tales found in Classics of Mountains and Seas (a.k.a.,The Classic of Mountains and Seas), In Search of Spirits (a.k.a., In Search of the Supernatural), and Strange Tales from a Leisure Studio (a.k.a., Strange Tales from a Chinese Studio); and tales of the mundane, such as those collected in New Accounts of the Tales of the World. These texts are wildly diverse in theme and style. the Confucian Classics The are five Confucian classics: 1) Book of History, a collection of documents ascribed to ancient Emperors and officials; 2) Book of Songs (“Shijing”), an anthology of early poems also known as Book of Poem ; 3) Book of Changes (“I Ching”), a manual of divination and philosophical appendices; 4) Rites (“Li Chi”), a compendium of rituals; and 5) The Spring, Autumn Annals, a chronicle of the state of Lu; and the attached Zuo Commentary. The "Liji" (Record of Rites), a restoration of the original "Lijing" (Classic of Rites), lost in the third century B.C., describes ancient rites and court ceremonies. The "Chun Qiu" (Spring and Autumn) is a historical record of the principality of Lu, Confucius' native state, from 722 to 479 B.C. It is a log of concise entries probably compiled by Confucius himself. The "Lunyu" (Analects) is a book of pithy sayings attributed to Confucius and recorded by his disciples. In Confucius’s time there was an additional classic, Music, but it has been lost. The oldest versions of the I-Ching and Confucius' Discourse on the Book of Poetry are on chop-stick-like bamboo slips in the Shanghai Museum. They are believed to be more than 2,200 years old. The Four Books---The Analects, (“Conversations,” or "Classics"), The Doctrine of the Mean, The Great Learning and Mencius---form the basis of Confucian education and training for imperial officials. The Analects has been described as "the most influential book in the history of the human race" and a "modern book" with "the oldest intellectual and spiritual portrait of a man." One Confucian told the New York Times, "All human knowledge is contained in this book. If you read this book carefully, you don't need another." Confucius reportedly compiled the sayings, aphorism, maxims and episodes that make up The Analects during his retirement. But this seems unlikely. The 20 chapters and 497 verses of The Analects were unknown until 300 years after his death. More likely they were compiled by his disciples and written down by other people. Confucius himself once said he merely "transmitted" what was taught to him "without making anything up" on his own. The first half of The Analects is stylistically and thematically very different from the second half. University of Southern California historian John Wills Jr. told Atlantic Monthly, "We have known for a long time that some of the later parts of the book are suspect. After Chapter Ten or Twelve you get a lot of fishy Taoist stuff." “The particular significance of these three groups of manuscripts lies in the date at which they were buried,” she wrote. “300 B.C. was the height of China’s Axial Age, that is, it was in the middle of the period in which the core ideas of the Chinese intellectual tradition took form,” she wrote. “These manuscripts speak directly to the core issues of the Chinese intellectual tradition and were recorded at the height of the formative period.” They include a description of a popular, alternative political system to the dynastic rule that dominated for thousands of years — the “abdication of the good to the good as the best means of political succession,” Ms. Allan wrote. A ruler would retire from office and hand power to a deserving person, who could in theory be anyone. “This idea of abdication as a means of political succession was too threatening to later dynasties to survive,” she wrote. Yongle Dadian Encyclopedia According to the Guinness Book of Records, the largest publication and largest encyclopedia ever was the Yongle Dadian (an 11,095 volume work with 22,937 chapters produced by 2,000 Chinese scholar between 1403 and 1408). Only three copies were made. The Chinese are credited with inventing wood block printing in the 3rd century A.D., and printing presses in the 11th century. Before giving China full credit for inventing printing it must pointed out the wood-block printing invented by the Chinese was very different from the movable type printing used by Gutenberg to print his famous Bible. 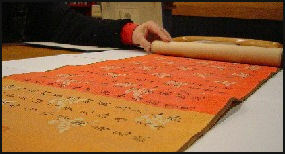 Chinese printing with wooden movable type, has been proposed for UNESCO intangible cultural heritage status. The world's oldest surviving book, The Diamond Sutra, was printed with wooden blocks in China in A.D. 868. It consisted of Buddhist scriptures printed on seven 2½-foot-long, one-foot-wide sheets of paper pasted together in one 16-foot-long scroll. Part of The Perfection of Wisdom text, a Mahayanist sermon preached by Buddha, it was found in cave in the Gansu Province in 1907 by the British explorer Aurel Stein, who also found well-preserved 9th century silk and linen paintings. Until the Tang Dynasty (A.D. 690-906), most books and documents were kept as handscrolls that were around a foot and half wide and varied in length from a few inches to several hundred feet. The proper way to look at hand scroll is to hold it vertically, unroll it from the left and roll it from the right, examining a section at a time. Ancient books and documents were put on handschrolls. The first handscrolls, dating back to the Spring and Autumn period (770-481 B.C. ), were made mostly from bamboo or wood strips bound together with chord. Ones from the eastern Han Period (25-220 A.D.) used silk and early paper. Handschroll In imperial times until the 20th century, people flocked to tea houses and public squares to listen to storytellers, who often told multi-part stories that kept audiences coming back for more. Popular literature was absorbed by the masses more in this way than through the reading of books. Famous old stories include The Good-Luck Horse by Chih-yi Chan, a story about a boy and his miraculous pony; Give Brother, an old folk tale; Shen of the Sea; and The Treasure of Li-Po. Some scholars believe that the Cinderella story had its origins in China. Some classic stories have been rewritten so many times, with so many variations and differences, it is difficult to ascertain what the original story was. There are also old stories about a silkworm, a beautiful lady with a white hare, the first firecrackers, the origin of rice, demons, warriors, ghosts, mandarins, and peasants. Famous stories explain why human sacrifices are necessary to makes bells and how the willow pattern on blue-and-white porcelain evolved. Biographies of Model Women is a 2000-year-old text from the Han Dynasty with some rather juicy descriptions of sexually liberated women. The love story between Xiang Yu, the ruler of the 2,200-year-old kingdom of Chu, and Lady Yu, is well known in China. The inspiration for the film Farewell My Concubine, it described how Xiang Yu challenged but ultimately lost to the first Han dynasty ruler and ends with Xiang Yu and Lady Lu in tent surrounded by Han forces. Rather than surrender they commit suicide. Lady Yi kills herself first after performing a sword dance and vowing to love Xiang forever, even in death. Old Chinese stories often featured magic mirrors. In the tale of Yin Zhongwen a man is executed shortly after he looks into a mirror and doesn't see his reflection. There is another famous short tale about a woman who is unimpressed by a painting of woman said to be very beautiful. The punch line is when the woman realizes she is starting not at a painting but a mirror. Many popular stories were performed as Chinese opera. One of China’s most famous stories, The Peony Pavillion , written more than 400 years ago by the Ming dynasty playwright Tang Xiazu, is a love story that takes place within a dream: a woman falls asleep by a peony pavilion and dreams of a handsome scholar she has never met. Unable to find him in the real world she dies of a broken heart and ends up in the Underworld, where the strength of her desire convince the Infernal Judge to release her ghost back into the land of the living to marry the man of her dreams. Fei Bo, a Chinese choreographer, told The Times: “The story “tells you universal emotions and passions. People can understand how strongly the heroine fights to find love. Drama and novels developed from the same story-telling tradition in which the use of vernacular language is a prominent feature. The Peach Blossom Fan and the popular short stories collected in Lasting Words to Awaken the World and Pounding the Table in Amazement are other works that grew from this tradition. See Chinese Opera Stories, Opera and Theater. Tang-era literary garden party The book The Columbia Anthology of Chinese Folk and Popular Literature (2011), edited by Victor H. Mair and Mark Bender, two of the world's leading sinologists, presents works drawn from the large body of oral literature of many of China's recognized ethnic groups---including the Han, Yi, Miao,Tu, Daur, Tibetan, Uyghur, and Kazak---and the selections include a variety of genres. Chapters cover folk stories, songs, rituals, and drama, as well as epic traditions and professional storytelling, and feature both familiar and little-known texts, from the story of the woman warrior Hua Mulan to the love stories of urban storytellers in the Yangtze delta, the shaman rituals of the Manchu, and a trickster tale of the Daur people from the forests of the northeast. The Cannibal Grandmother of the Yi and other strange creatures and characters unsettle accepted notions of Chinese fable and literary form. Readers are introduced to antiphonal songs of the Zhuang and the Dong, who live among the fantastic limestone hills of the Guangxi Zhuang Autonomous Region; work and matchmaking songs of the mountain-dwelling She of Fujian province; and saltwater songs of the Cantonese-speaking boat people of Hong Kong. The editors feature the Mongolian epic poems of Geser Khan and Jangar; the sad tale of the Qeo family girl, from the Tu people of Gansu and Qinghai provinces; and local plays known as "rice sprouts" from Hebei province. These fascinating juxtapositions invite comparisons among cultures, styles, and genres, and expert translations preserve the individual character of each thrillingly imaginative work. Classical poetry reached its zenith during the Tang dynasty (A.D. 618-907). The early Tang period was best known for its lushi (regulated verse), an eight-line poem with five or seven words in each line; zi (verse following strict rules of prosody); and jueju (truncated verse), a four-line poem with five or seven words in each line. 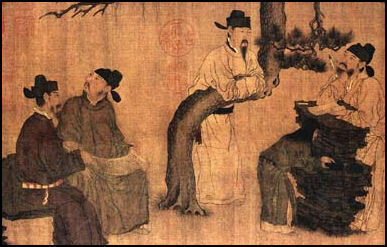 Chinese poets have traditionally given themselves pen names like The Wanderer and participated in groups with names like the Crescent Moon Society. Poem by Wang To Qing Poetry is much more fully integrated into painting and calligraphy in Chinese art than it is into painting and writing in Western art. There are two words used to describe what a painter does: Hua hua means "to paint a picture" and xie hua means "to write a picture." Many artists prefer the latter. Chinese poetry reached its zenith in the Tang dynasty. Poets often sat beneath the moon and drank wine from cups floated on rivers and composed poems like: "The sun beyond the mountain glows/ The Yellow River seaward flows/ But if you desire a grander sight/ The you must scale a greater height." Poets sometimes played a game in which a cup was placed in a stream and a poet had to compose a poem before the cup floated by. If he failed he had to consume a glass of wine. The two best-known poets of the period were Li Bai and Du Fu. Li Bai was known for the romanticism of his poetry; Du Fu was seen as a Confucian moralist with a strict sense of duty toward society. His poems inspired many Chinese painters. Later Tang poets developed greater realism and social criticism and refined the art of narration. One of the best known of the later Tang poets was Bai Juyi (772-846), whose poems were an inspired and critical comment on the society of his time. Other famous Tang dynasty poets include Wang Wei, Li You and Huang Tingjian. Xue Tao was a famous female poet. 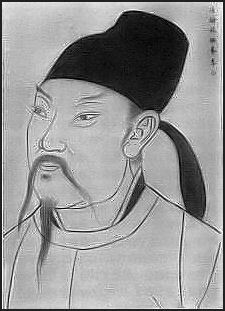 Wang Wei (701-761) was a poet-painter who said "there are paintings in his poems and poems in his paintings." The famous Tang dynasty poet Li Bai (A.D. 701-762) is one of the most quoted Chinese poets in the West.In China Li is regarded as a "banished immortal"---“an immortal who misbehaved in heaven and was banished to earth"---and is considered wild, eccentric and possessing special powers. Li Bai does not seem to have been very likable as a person. He has been described as "tiresome sort of bohemian, vain and untrustworthy, an irresponsible citizen, a careless friend, an indifferent husband and a terrible drunk." 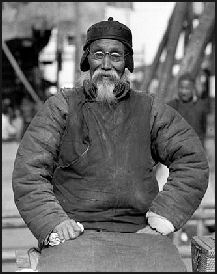 Other than a short stint "polishing" Imperial documents, Li never had a job and didn't seem to make much money from his poetry. He appeared to have survived by sponging off relatives. To toast my shadow, the three of us. Like so many lilies grown amid a sea of gold. Like nine beautiful lotus flowers.